Hanoi - A gathering was held in Hanoi on April 16th to mark the 60th anniversary of the Asia-Africa Conference (AAC) in Bandung, Indonesia (April 18-24, 1955). 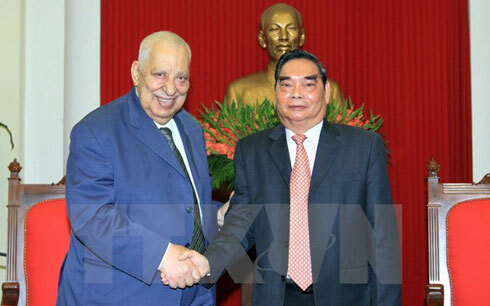 Politburo member and standing member of the Party Central Committee’s Secretariat Le Hong Anh had a meeting on March 26 with Vice President of the Palestine National Council Taysir Quba’a who is in Hanoi to attend the 132nd Assembly of the Inter-Parliamentary Union (IPU-132). 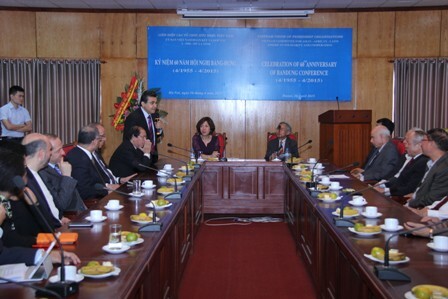 Quba’a lauded socio-economic achievements that Vietnam has gained over the past years. He briefed his host on current developments in Palestine and the region as well as the cooperation outcomes between the law-making bodies between the two countries. 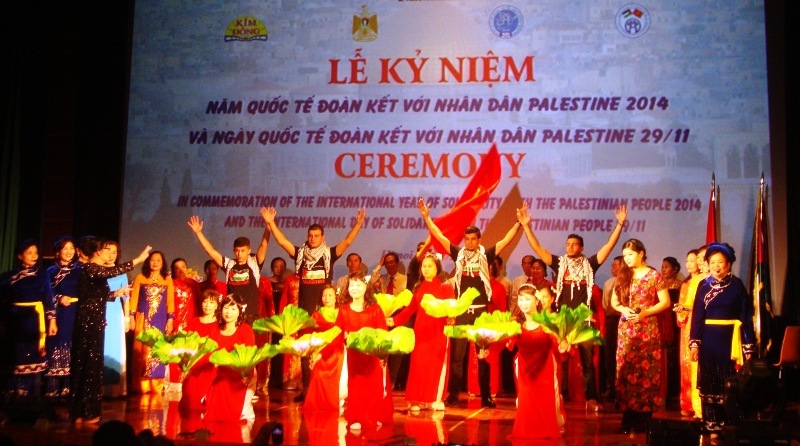 Ho Chi Minh City – On 5th December 2014, the Ho Chi Minh City Union of Friendship Organizations, in cooperation with the Embassy of the State of Palestine in Vietnam, held a meeting and film screening in commemoration of the International Year of Solidarity with the Palestinian people. 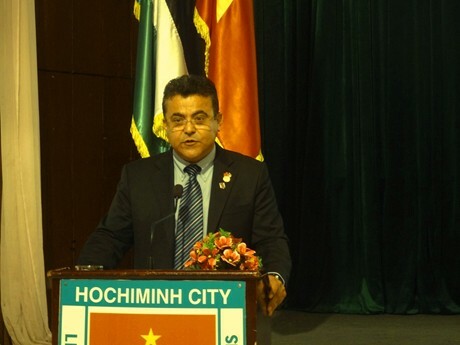 Ho Chi Minh City – In the afternoon of 4th December 2014, Vice Chairman of the People's Committee of Ho Chi Minh CityLe Thanh Liem had a meeting with Ambassador of the State of Palestine to Vietnam Saadi Salama during the latter’s working visit to Ho Chi Minh City on the occasion of the International Day of Solidarity with the Palestinian people. Hanoi - In commemoration of the International Year of Solidarity with the Palestinian people 2014 and the International Day of Solidarity with the Palestinian people (29th November), the Hanoi Union of Friendship Organizations, the Embassy of the State of Palestine in Vietnam, the Vietnam – Palestine Friendship Association of Hanoi and Kim Dong Cultural Center co-organized a ceremony on 28th November, 2014 in Hanoi.